On a chilly afternoon last November, I went to visit George Carl, the vice president of the Newtok Village Council. He’s a slight, wiry man in his mid-60s with a bushy gray mustache and a pair of surprisingly hip blue glasses perched on his nose. I stopped by with Andrew John, Newtok’s tribal administrator. We were greeted with instant coffee and – to Andrew’s delight – cinnamon rolls. Newtok, in Western Alaska, is perhaps the most endangered village in Alaska. It’s built on permafrost, and it’s losing about 70 feet of land each year as the Ninglick River eats away at the shore. George Carl’s house is one of the closest to the river. “It’s going to reach my house pretty soon. Probably next summer,” Carl said. 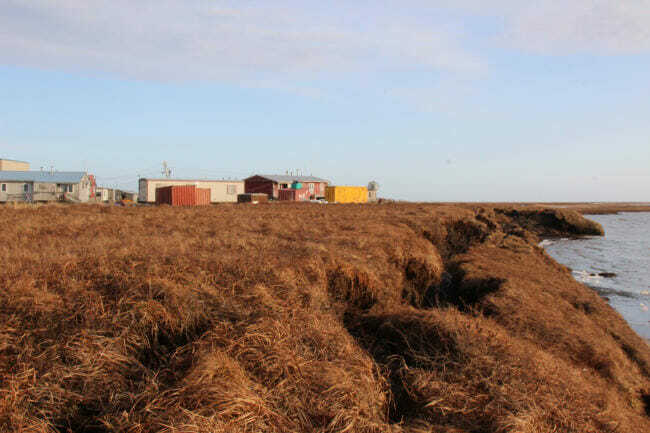 A 2003 report found that most of Alaska’s 200-plus rural villages face flooding and erosion. By 2009, as many as 12 villages were already considering some kind of relocation. But moving a whole village is astronomically expensive. So who’s going to cover those costs? Who is responsible? Some advocates say the answer is the federal government. They say it’s largely because of federal policy that some of these villages are so vulnerable to climate change in the first place. George Carl thinks he’ll see the end of this Newtok. Residents expect the village to become uninhabitable within a matter of years, as the river consumes houses and, eventually, the school and runway. Carl also remembers the beginning: He was born a few miles away, at a site called Old Kealavik. But in 1958, the Bureau of Indian Affairs built a school at the nearby seasonal camp of Newtok. The story goes that the site was chosen because that was as far as the barge with the building supplies could make it. So that’s where it stopped, and that’s where the school was built. When Carl was about six, his family moved to be near the school. Families from all over the region did the same. “I remembered a guy who was telling our parents that if you want to have our kids put in the school, just move here,” Carl said. At the time, this was happening all over the state. Many Alaska Native families still moved around seasonally. Carl’s family lived in a sod house, the traditional housing built from the tundra. If a river changed directions and a site flooded, the camp could be rebuilt somewhere else. But when the government started building schools, the villages grew around them, rooting people in place. Other infrastructure followed: clinics and airstrips and power plants. Many of the sites were chosen the way Newtok was – convenience for the builders, not longevity for the village. 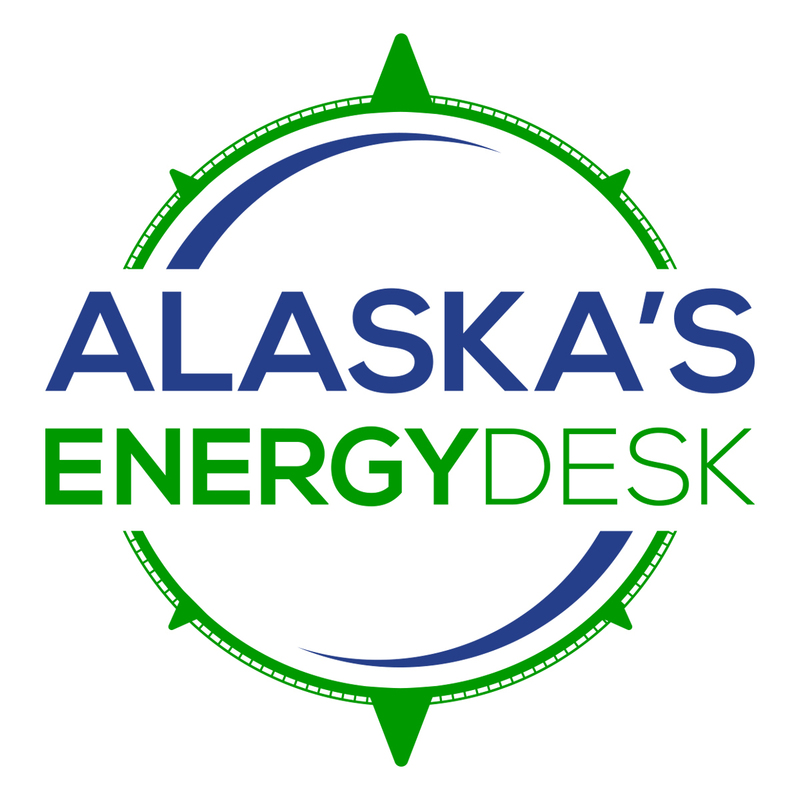 Sally Russell Cox is a planner with the state of Alaska who has worked with Newtok since 2006. Cox says their locations have made villages like Newtok more vulnerable to climate change. “That compounded with you know the warming that we’ve seen over quite a lot of years has really impacted these communities,” Cox said. Many locations were already vulnerable to environmental change. And now the landscape is changing faster than expected, with climate-driven shifts like the loss of sea and river ice. Newtok hopes to relocate to a new site, about nine miles upriver. The village has been trying to move for more than two decades, but it’s been a struggle to find the funding. One estimate puts the price tag for relocation at $130 million. Some advocates say Alaska’s history means the federal government has a special responsibility for village relocation. Robin Bronen is with the Alaska Institute for Justice. She’s working with more than a dozen villages trying to decide whether and how to move. “There is some responsibility I think from the federal government because the federal government made the decision to create sedentary coastal communities in the locations now where people are not being able to stay,” Bronen said. At times, Congress has seemed to recognize that responsibility. This spring, lawmakers approved $15 million to help Newtok move, as part of the bipartisan spending bill signed by President Trump. George Carl and others say that’s a big deal for Newtok. But — it’s a one-time fix. It will jump-start the move, but not complete it. And it doesn’t help other communities in the same situation. The schools, of course, did more than simply root people in place. The ripple effects of that policy are still being felt across Alaska today. In Newtok, some 60 years later, George Carl still remembers the culture shock. Everything was in English. “First days of school…I wasn’t understanding nothing at all. Just totally nothing,” Carl said. Carl says students weren’t allowed to speak Yup’ik. But many fundamental ways of life continued. For Carl, life in Newtok still revolves around subsistence hunting and fishing. This time of year, for instance, residents hunt for muskrat, mink and otter. That’s why, for George Carl and others in Newtok, it’s so important to relocate to a site nearby – and for families to stick together, and not scatter to other villages and cities around the state. He says he can’t imagine moving to Anchorage. “You know I’m adapted to Mother Nature and the ocean and the river, you know, that kind of food,” Carl said. The federal government made Carl’s family move once. Now, he’s asking for help to move again: this time, to a place of his own choosing. This story is adapted from the podcast Midnight Oil: The Big Thaw. Subscribe on iTunes, NPR One or wherever you get your podcasts. Next articleWhat can Alaska learn from Connecticut’s green bank?